Nowadays, online gambling is as diverse as it is entertaining. Online roulette games vary hugely and new technology is enabling new online roulette variations such as mobile and live dealer games to enter the consumer market. This gets even more complicated by different country-specific laws, particularly in the US, thus making the online casino players confused about whether they can enjoy playing online roulette for real money or only for fun or practice. This online Roulette FAQ page tackles, in one place, all the important online roulette questions you might have about the game. Below, you’ll find information on safety, legality, payment processing and the bonuses available at different online casinos. There are also links to other “must-read” articles which cover the most important topics in more detail. Is Playing Online Roulette Safe? This is the most asked of all the roulette questions. Casinos rely on their reputation and are licensed, tested and trusted by millions of players. Having said that there are the occasional bad apples out there, though spotting them is easy if you know what to look out for. If you make sure your casino has a license from a known jurisdiction, you will avoid most problems. For US casinos these include Panama, Antigua, Netherlands Antilles and the Kahnawake Territory. For International casinos licenses from Malta, Gibraltar, the Isle of Man and Alderney are considered to be reputable. In addition to the license, look out for certification of the fairness of a casinos ‘RNG’ (random number generator) software. Specialist companies test this software and legitimate casinos are usually very happy to share the results. Finally, I like to check that there are no major scandals highlighted in online forums or communities. Thou, most casinos are completely safe and many will have been operating for 5 years or longer. A little background checking on the Internet before you deposit your money will weed out the rogue ones. Is better to be safe and ask all the roulette legal questions than having a sour experience. For US players a law passed in 2006 known as the ‘UIGEA’ places restrictions on US banks ability to deal with gambling sites. There is no law at a national level which makes it illegal for an individual to gamble online. Some individual states (for example Utah) do have restrictions on this. The vast majority of Americans can gamble online at offshore casinos perfectly legally. Since the restrictions are with the banks, you’ll have to be creative with getting your money on board. This is covered in a separate question below. If you are outside of the US the legality of online roulette depends entirely on your local country law. There are very few places where you cannot gamble online at all – though some countries, for example, Spain and Italy have laws which require casinos to be licensed specifically for their countries. How Do I Deposit At Online Roulette Casino? Internationally, there are many options open to you. These include specialist 3rd party systems like PayPal or Neteller, as well as credit and debit cards. From the US, things are not as straightforward. You’ll need to make an international purchase using your credit card, which will sometimes be blocked by your bank. Fortunately, things are getting better at the moment – with many Visa and MasterCard transactions going through first time. If your card does get declined, there are still several options open. These include buying a pre-paid Visa card (again, international purchase capability is needed), or using a money transfer service like Western Union. You can still find some casinos which will accept e-Checks or Wire-Transfers . How To Cash Out Your Online Casino Winnings? Still, the most popular way to withdraw is to use a paper check! Most online casinos will allow you one per month for free (or with reduced fees), and some will even courier them to your door. Banks will accept this payment method, which usually uses a 3rd party payment processor. Look out for casinos which have high withdrawal limits, for example, sometimes you’ll find amounts under $100 cannot be withdrawn. Clearly, you shouldn’t worry about how to cash out your online casino winnings as the process is very transparent and easy to follow. How Do I Play Roulette Online? Virtual Roulette tables are an ideal place to learn the online roulette. The stakes can start low and you can take your time in deciding on your betting strategy. Getting a good understanding of the game by understanding roulette odds, probability, and pay outs can help you see more clearly how the game works. I also recommend you clear your mind of the common Roulette myths outlined in this article before you play. Once you are happy with the basics, it is time to get more advanced. Betting strategy, systems, and bankroll management are all great topics to cover. You only need to go back 7 or 8 years, and your choices would have been extremely limited compared to the games available today. Online Roulette has boomed, in terms of the variations on the traditional games and the creative ways in which you can now play. The traditional games are American Roulette and European Roulette. These are very similar, with the US version having an extra zero on the wheel. In live casinos, this will often be the only game available, online you’ll have a choice. The default is to choose the European wheel, as this has a lower house edge. Many casinos are now including the French Roulette variation in their line-up. This is like the European game, though has a special rule called ‘la Partage’. This means that even money bets get returned at 50% when the ball lands in the (single) zero. This might not sound like a big deal, but it reduces the house edge considerably for players who make even-money bets. Technological advances have allowed a new type of online Roulette to boom – with a real croupier spinning at a real wheel. These games are streamed in real-time, though you will bet virtually using your mouse. You’ll be able to interact with the dealer and other players too. The choices do not end there. 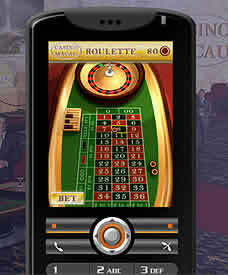 Many games have been created which are innovations on top of the old Roulette theme. A great example is the Marvel Roulette which you will find at PlayTech casinos such as Betfair. This has s separate jackpot side-bet which can win you huge sums. You will also find games where you can bet on the spin of 6 or even 8 wheels at once. For those who like things simple, there is a mini-Roulette game, which has 12 numbers and one zero – making the betting quick and easy. Mobile compatible games now compete with truly different versions of the game, such as Pinball Roulette. Both smartphone and tablet users can access the games. Android users will have almost no problem finding a casino. iPhone users still have a somewhat limited choice, with many US casinos, in particular, using Flash technology which is not compatible with this. There are workaround fixes and plug-ins if you are technically minded. My advice is to try out a few games to make sure they work on the smaller screens, as some Roulette games have been adapted better than others. They all offer welcome bonuses to entice new players to try their games. What you’ll find is that there are big variations in how quickly you can achieve your bonus targets playing online roulette. Some casinos do not count this at all towards ‘clearing’ their bonuses, while others limit the percentage contribution, or restrict you from covering too much of the table in any one spin. There are some excellent bonuses available, just make sure that you check the terms and conditions before you deposit. Check out our detailed Best Roulette Sites section for detailed reviews and comparisons. Playing online roulette is simple enough that novice players can pick up the basics roulette rules in just a few minutes. We have gathered all the important roulette rules and created Practice Guide: How To Play Roulette Online. 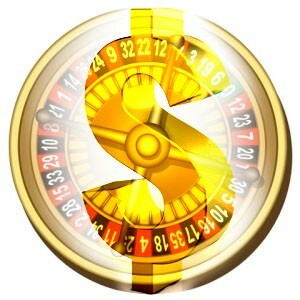 You will find there all the necessary information to answer all your online roulette questions.